Running while pregnant can be pretty uncomfortable. I have not faced any major issues, but below are my top complaints. Decreasing Speed: I had no idea how early on in my pregnancy I would start to slow down. I thought it would happen in the later months, but for me, it was almost immediate. 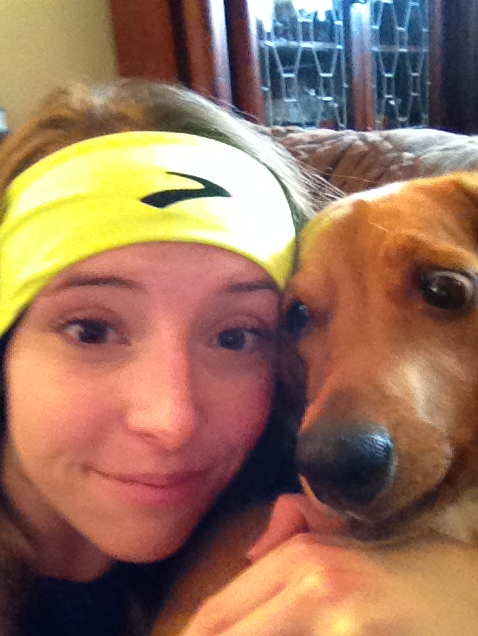 Before pregnancy, when I would go out for an easy run, I would run about 9:30 minute miles. Now my easy runs are coming in at around 12 minute a mile and I get slower each time I go out. The decreased speed really bothered me at first, especially before I started to show. I had the false notion that people were judging me. I still have to constantly remind myself why I am slow and I try my best not to look at the clock. Increased Thirst: I have been thirsty all the time! This isn’t just occurring when I am running. It is something I face when I am just sitting at my desk or at home doing nothing. I have also found if I do not drink enough water, my hands and feet swell slightly. I have started carrying Gatorade with me on my long runs because water alone isn’t cutting it now. I also try to run in areas near my home with drinking fountains so I can have both. Pelvic pain: Pelvic pain is by far the most annoying aspect of pregnancy I have had to face. I can’t really even explain how this horrible sensation feels because I’ve never experienced anything like it before, but it is an absolute nuisance! Running doesn’t aggravate this problem very much though and it is at its worst when I am trying to sleep. Increased Urination: I constantly feel like I have to pee (even when I don’t actually have to). On my last 12 mile run I had to stop to use the restroom twice. I would have stopped more if there weren’t so many tourists out by the time I was able to run. I went for my first run on Sunday after being sidelined for a week with a cold. I tried to keep the run short and quick, but to be honest with you; I was slightly disappointed in my performance. Breathing was definitely still a challenge despite feeling a lot better and I was forced to use my sports bra as a Kleenex dispenser. Even though I knew my first run back would be a challenge, I still ran significantly slower than I even anticipated I would. I kept a 9:05 pace. I was hoping to keep it under 9:00 since I am still recuperating, so I guess I wasn’t that far off, but I still felt disappointed. I decided to give it a shot again this morning and I did even worse! I was less congested, breathing was easier, and it was a beautiful day outside. Despite all of that, I just couldn’t get moving. I was extremely slow and kept a 9:36 pace, which was very discouraging to me, but in addition to my slow pace, I stopped early too. I usually try to make my morning weekday runs the distance of a 5K race and add more distance as time allows, but today I only went 2.80 miles. There is a store near my home that sells flowers and they already have their Christmas trees out (not okay…). One had fallen down and blocked the entire sidewalk. Instead of redirecting myself and pushing forward, I used the down tree as an excuse to end my run and go home. I know some super tough people who are able to work out despite being ill and I thought that maybe with all of this internal willpower I have right now that I could too. I was wrong. I am clearly not someone with that ability and right now I am just hoping that I bounce back quickly and that I do not lose too much of the progress I made over the summer and fall months. I plan to do yoga tomorrow morning for a little extra rest and hopefully my next run will be more successful! It is officially cold out and I hate it! I have been sick since Monday (which I blame on the rapid temperature drop) so I have been resting. My ability to breathe has been so messed up that even light exercise is out of the question. Once I recover, I do have an action plan to try to stay active. 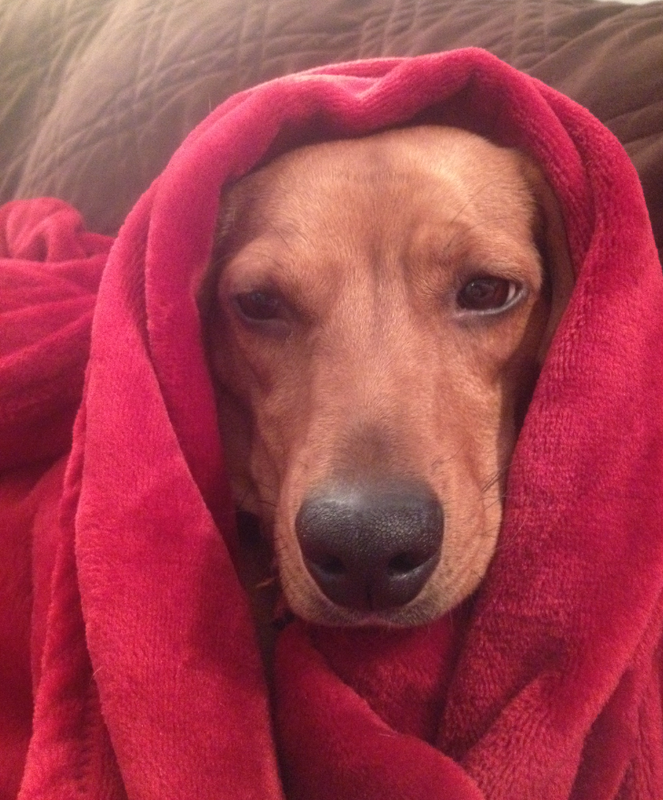 Even Nigel knows that winter is the worst! One would think that as a transplant from the Pittsburgh area I would thrive in DC’s slightly warmer climate; however this has not been the case in years past. I have never been an individual who enjoys the cold and this is sadly the point in the year where I usually I fall off of the wagon and break out the blankets. I call it my hibernation period. I am extremely determined to be better this year, which is why I am taking some steps to prevent this yearly hiatus. I already have some cold weather gear, but I decided to beef up my cold weather wardrobe a bit. I recently went to TJ Maxx and purchased two pairs of fleece lined running tights, a pair of thin gloves, and a thicker fleece lined pair for when it gets really cold out. I was able to walk out spending under $100 on all of those things, along with a few extra items (body wash and fancy chocolates). I was extremely proud because a good pair usually goes for over $80 and I could see high original prices on the pieces I purchased. It was definitely a challenge for me to find the right fit in a pair of running tights. I am on the short side but I have an hourglass figure, so most of the medium sized tights I tried on were about 4 inches too long and most of the tights in size small fit lengthwise, but they were painfully tight and I would risk splitting my pants if I tried to run in them. I have worn my capri length tights for as long as possible because of this problem. I actually did not own anything longer, but I dedicated over an hour of my time to finding something full length that would work for me because I am sick of being cold. I finally settled on 2 amazing pairs of pants (both different sizes). The first was made by a brand called Avalanche and the other was by a brand called Marika tek. 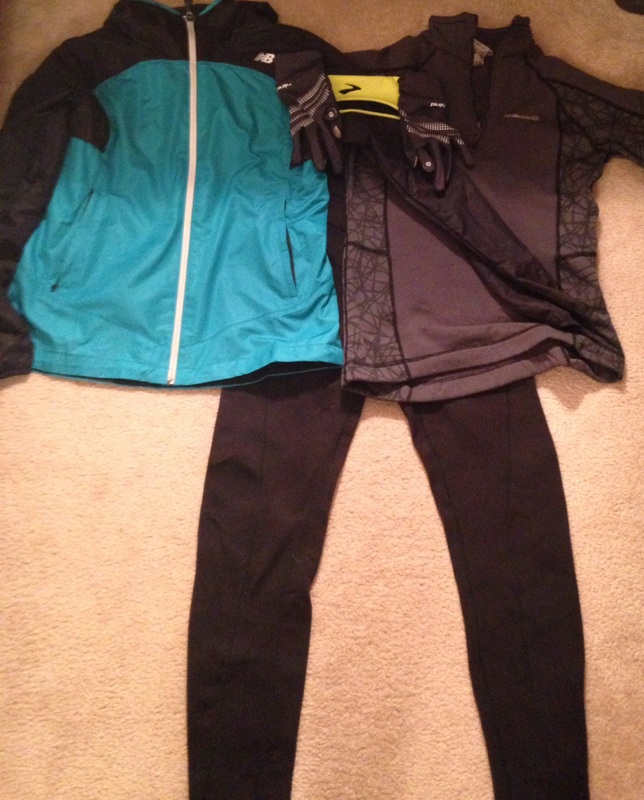 I was so proud of my new gear that the following morning, I woke up and went on a run with the thicker pair of my new tights (the Avalanche Pair), my new gloves, a thick fleece lined shirt, a headband to warm my ears, and a windbreaker. At the time, I believed the windbreaker was necessary because the wind has been unbearable here; however I actually ended up being far too warm. My run was difficult because I was only able to focus on how warm I was the entire time. I made the same mistake at the race I ran over the weekend and struggled there because of the heat too. I also took the opportunity to try out the Marika tek pair. I think they may be a bit too large for me because I had trouble keeping them up and noticed they are slightly large in the waist. I may see if they fit my sister since she is slightly taller than me and I will look for them in a smaller size. Despite the fit, they were great quality and they were sufficiently warm. I know that even having warm apparel may not be enough for me when things get really cold. That is why I also purchased a Living Social Deal for a month long membership trial at a local gym close to my workplace. I am typically anti-gym because they are so expensive here and they are usually overcrowded, but I was able to get the deal for about $20. I haven’t activated it yet and I am holding off until conditions get bit worse outside and my cold goes away. For now I will make good use of the sidewalks and enjoy running outdoors until things become too cold or unsafe outdoors. I am pleased to say that I think I have set myself up for success and I hope I will be able to keep pumping out runs this winter. 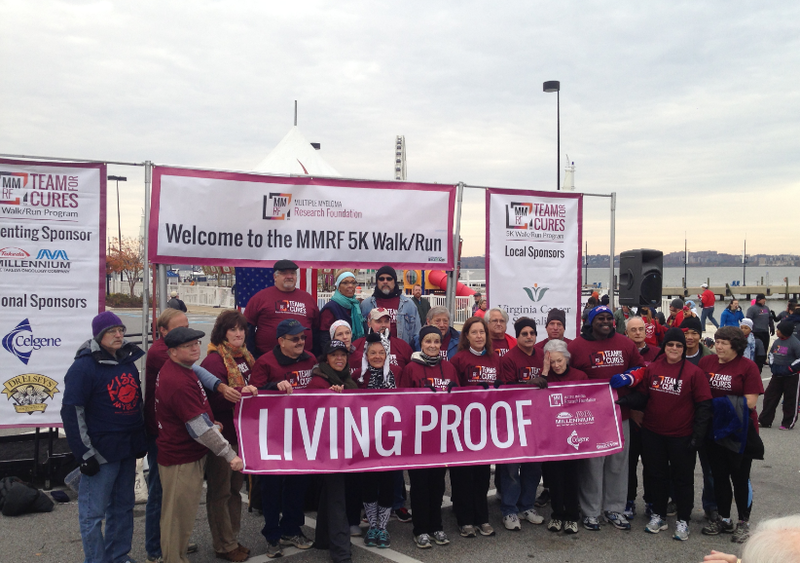 MMRF Race for Research – Thank you!!!! A special thank you to all who donated from Bud’s Bulldogs! 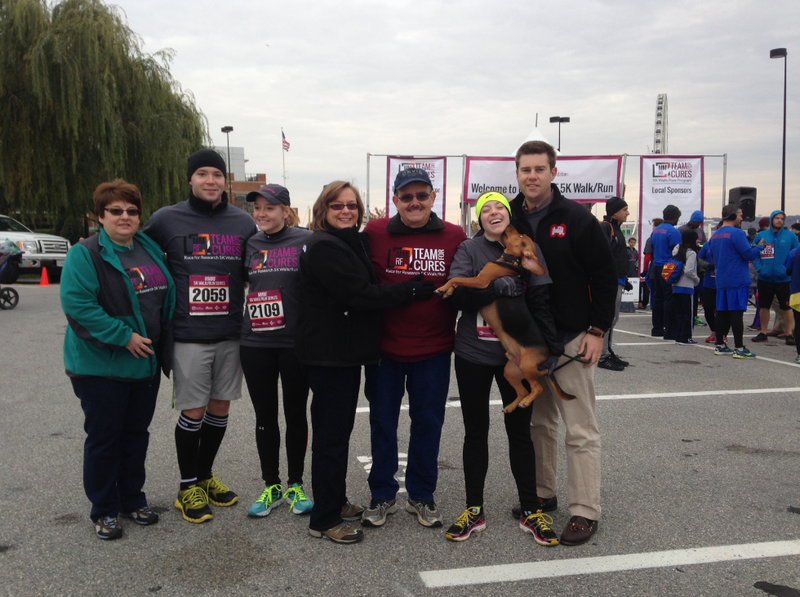 This weekend my family and I participated in the Multiple Myeloma Race for Research. It was an incredibly moving event where patients fighting this disease, their families, medical researchers, and those who have tragically lost loved ones came together to help raise money and awareness of this rare form of cancer. In my opinion, the events leading up to the race had the greatest impact. It was hard not to cry tears of joy over how far things have progressed in the right direction. This became abundantly clear while watching my father pose for photos with the other survivors and hearing stories from the honorees who have done so much to help others. The MMRF honored two people who have gone above and beyond to inspire others. First they honored a local doctor who has dedicated her life to helping patients. They also honored a phenomenal woman who has been fighting multiple myeloma since 2008 who had the courage to share her story. My family and I initially committed to this race without a real fundraising goal and minimal expectations since we weren’t planning to be very aggressive in our solicitations. We simply posted on Facebook, but to our surprise, the generosity was overwhelming. Our team was able to raise over $900 for this great cause and we all feel so blessed by this support. Thank you so much to everyone who donated! My family and everyone impacted by this disease are extremely grateful for your kindness. There are so many things you can do for yourself to become a better runner. I have been working hard and last week it paid off. I had two amazing runs. On Wednesday, I was very proud of the pace I was able to keep. I was able to keep an 8:04 for a 5K, which is an improvement from what I have been doing. Then on Saturday, I increased my distance, I intentionally kept my pace slower and went 5 Miles at an 8:47 pace. That was the longest distance I have been able to run in quite a while. While my statistics are far from impressive, I am starting from the beginning and working to get back in shape, so right now I am proud. I took Sunday as my off day and sadly, on Monday morning I had what felt like an awful run. I ran a 5K at an 8:58 pace and felt so discouraged at the end. Despite giving it my all, I moved slowly and felt lousy the entire time. What differed between my runs? On my good run days I had both a nutritious dinner the night before, I got plenty of sleep and I felt invincible. My refrigerator is completely empty, so I went to one of my favorite Capitol Hill grab and go places, Sweet Green. They serve salads and are a great quick option for staffers with late nights. 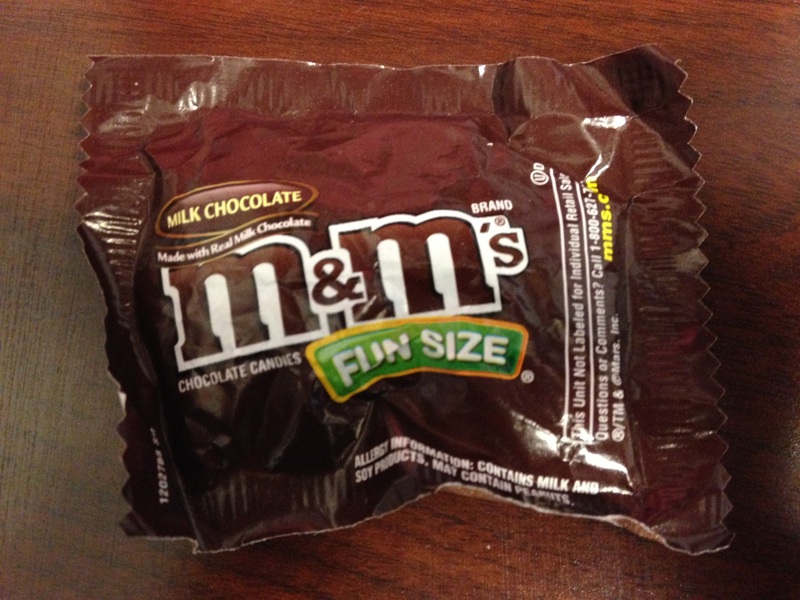 The night before my bad run I didn’t eat lunch and I had Halloween candy purchased half off at CVS for dinner. In addition to these bad choices, I didn’t bother to eat before I went out on my run because my stomach felt off. I think if I would have grabbed a banana before going out that maybe things would have been a little bit different. I also overdressed since it was cool outside and I hate being cold. This combination resulted in a slow and unproductive run, but I will be honest, I frequently over dress and my poor diet was certainly my Achilles’ heel. There are so many things you can do to help yourself or hurt yourself when it comes to running and fitness. In this case and many other instances in my life, poor nutrition has been my enemy. I absolutely love sweets and if left to my own devices would eat chocolate and ice cream for every meal, but my body feels so much better when I eat well. So my friends- go off of the “doughnut diet.” Good nutrition is not about being thin; it’s about feeling better and having the highest potential to do well at the things you enjoy. I truly enjoy running in organized races, particularly the ones that benefit a good cause (and the ones that serve ice cream at the finish line). Up until now I have only ever set my sights on running in 5k races. They take under a half hour, I rarely feel sore afterwards, I can focus on speed or on encouraging a friend who is a first time runner, and training for them does not take a lot of time out of my day. To me shorter race distances are a fun and enjoyable experience. Last year my sister ran the Pittsburgh Half Marathon and she had an amazing time. At first I thought she was insane because she described the half as “the most fun she has ever had in her life.” She loved the comradery and the sense of hometown pride the race had. Much of my extended family also participated in the race. I was naturally very jealous of all of them, so this year I am going to participate too. I am so excited for it and I registered on the first day the race opened. While I am excited, I am also a bit nervous for race day. I have not decided on a time goal yet, and right now I am just focusing on finishing the race. If several people from the same gene pool as me can do it so can I (maybe?). I have a great support system and a lot of people I can reach out to for advice if I start to feel overwhelmed. I will be tracking my progress on the blog with the hope that I can stay 100% committed to this goal regardless of how cold the winter ends up being. Side note- I am so excited for the half marathon that I already purchased my outfit for race day. You can never be too prepared! 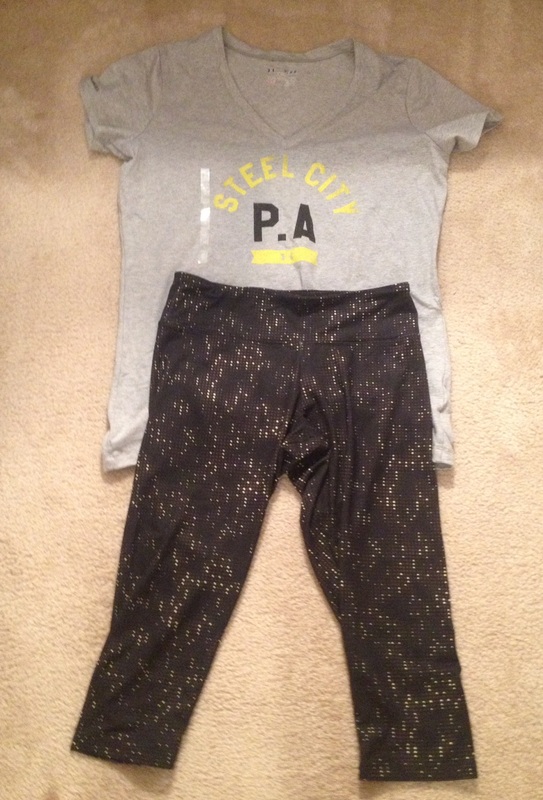 I am excited to wear this awesome Pittsburgh themed outfit on race day! Since I have started running again injury prevention has been at the front of my mind. During my previous bouts of training I suffered from many different injuries (mostly minor) ranging from a severe ankle injury occurring over ten years ago in high school that likely couldn’t have been prevented, to several overuse injuries stemming from improper running practices (poor shoes, lack of stretching, and upping my mileage too quickly). Overall, I have been pretty lucky despite not always doing the obvious and taking easy measures to prevent injury. This time around I truly want to succeed and I have been taking serious precautions to prevent injuries. I have made it a top priority to stretch properly following each workout I perform no matter how short it may be. I have been lazy in the past and I would only stretch when it was convenient for me and I definitely paid for it. I know firsthand how important this is to my training and how it can put a halt to all of my hard work. Stretching and improving my flexibility have become an extremely important element to my fitness. 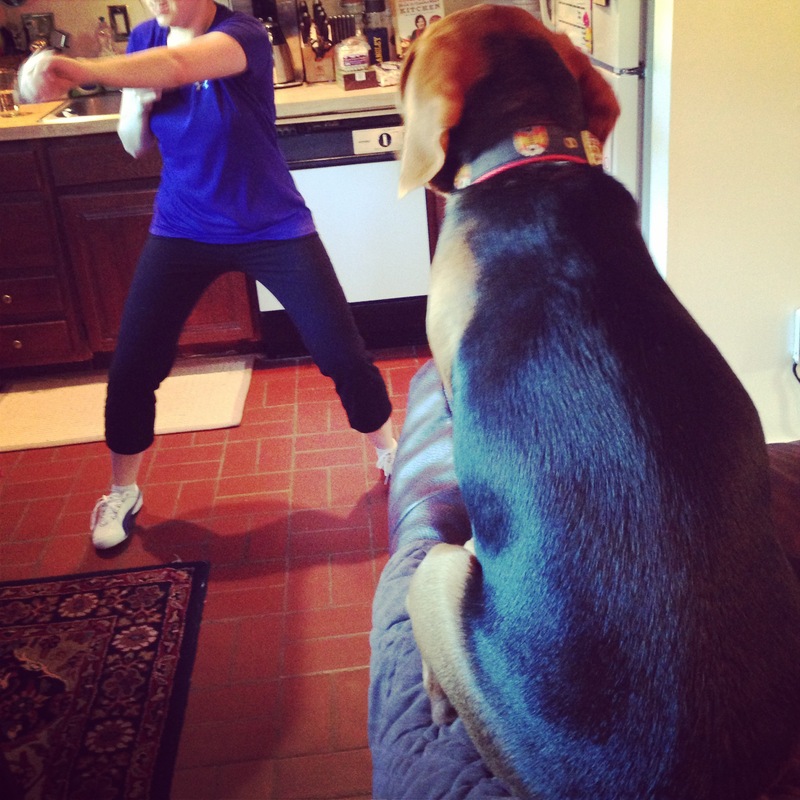 When I have the time following a run or on a day off, I also love my foam roller and I enjoy practicing yoga. I am not at all flexible and I am absolutely incapable of relaxing my mind but I still always feel great after attending a class or going through a video and at least attempting to relax and let go of everything. I would certainly prefer an in person class and I used to attend them at a wonderful studio when I lived in Pennsylvania, but I have never been to one in D.C. due to the high cost. This video from Ekhart Yoga is one that I find extremely helpful and it is tailored towards runners https://www.youtube.com/watch?v=of2spyCtUkw. You can also find wonderful roam roller instructional videos on YouTube that are extremely helpful if you have never used one before. I was living in Washington, D.C. doing an internship prior to graduating college when I began taking running seriously and I was improving quickly, however I began to experience shin splints. Until this point I had never been fitted for a pair of running shoes by a professional and I thought I was being frugal by wearing a pair of shoes until there were holes in them. I had a lot of friends who were very serious runners and I went to them for advice about my injury. Upon seeing my shoes (that had relatively large holes in them) they knew exactly what the problem was. I visited my local running store to be fitted that weekend and my shin splints disappeared after only a brief period of rest and training in my new properly fitting shoes. Let me first say that I do not have a gym membership and I have no plans to purchase one anytime in the near future. They are ridiculously expensive in D.C. so I have grown to love workout DVD’s. I know that a traditional gym workout would probably provide me with more benefit, but I have a slim salary and I will do anything that can be done to save money in this crazy expensive city. I am a huge fan of Jillian Michael’s and her at home workout videos. I own several of her DVD’s and I have found them to be beneficial to my training. I am particularly fond of her 30 Day Shred and her Ripped in 30 programs. Each DVD has multiple workouts and they have several different levels of difficulty for each program. The videos are short and intense and perfect for someone with long work hours and they incorporate both strength and short bouts of cardio. I know that Jillian’s style is not for everyone and most people either love her or hate her. I am definitely on team Jillian and highly recommend her videos. If you are skeptical and wish to try one of her workouts for free to see if they are something you enjoy before purchasing one visit https://www.youtube.com/watch?v=1Pc-NizMgg8 and try Level 1 of her 30 Day Shred DVD. I am notorious for pushing myself and doing too much too fast. To prevent injury when I began to build up my distance, I followed Hal Higdon’s free training program. Having structure is very helpful to me because I tend dismiss the signs that my body is giving me and I would work out every day if I did not have structure. Having a schedule demanding me to take a day off is extremely helpful to someone like me. I found my schedules here http://www.halhigdon.com/ but there are hundreds of training plans so do an online search and see if you can find one that works for you.